When I first started lifting weights at the age of ten I had no idea what bodybuilding was. I was a kid who never saw a physique publication or for that matter ever saw anyone even flex a muscle. All I knew was that I wanted to be big and strong like my father. As the years progressed I continued to train with the free-weights my father brought back from Germany while stationed there during the Korean War. It wasn’t until my high school years that I began to get more exposed to the world of muscle-building. Suddenly images of herculean men with muscles I never dreamed possible were there right before my eyes in the various physique publications of the day. I bought all the mags and training booklets available and absorbed every word written. What I learned I applied to my workouts, diet and lifestyle. My little home gym, which I shared with my brothers John and Domenic, soon became equipped with every piece of exercise equipment we could fit in our 5’x15’ training space. The lack of space didn’t stop us from making huge gains as we were determined to build herculean physiques like the champs displayed in the muscle mags. I believed in bodybuilding so much that in 1976, eleven years after I first started to lift iron, I opened the Staten Island Bodybuilding Club, which was the first ever bodybuilding gym on the Island. I wanted to share with others what I had learned. I wanted to teach that bodybuilding was not only about huge muscles and strength but more importantly bodybuilding was a way of life that could increase one’s chances of living longer, being healthier, and feeling more vibrant. This is what I believed and taught. During my Staten Island Bodybuilding Club’s first few years of existence we were somewhat naive to the widespread use of steroids in bodybuilding. Although we knew they existed we never gave much thought to the matter. Back in the 1970s my gym was somewhat isolated from the metropolitan area and the steroid scene. We believed that in order to get huge you had to train big and eat right. You had to get your rest and be consistent at the gym. We never considered the use of drugs for the purpose of building muscle and gaining strength. To us it was not only unhealthy but also a means of cheating oneself. My club lasted ten years. During that time thousands of faces entered its doors with dreams and goals that I helped them achieve. Back in the early years of the club history nobody on Staten Island ever used the term ‘natural’ because of our naiveté to what was really going on in the sport. You’ve got to remember, or not, this was before there were natural bodybuilding competitions and before the bodybuilders began to openly admit to their anabolic use. The only real connection we had with the muscle world was through the physique publications, and back then the mags were using the champs to preach about proper nutrition and exercise, somehow they neglected to mention the fact that most (not all) of them had created their physiques with the assistance of anabolics. Eventually, the steroids did make their way into Staten Island’s gyms and my club was no exception. It would not be until the early 1980s that some of my members began to experiment with the chemicals. 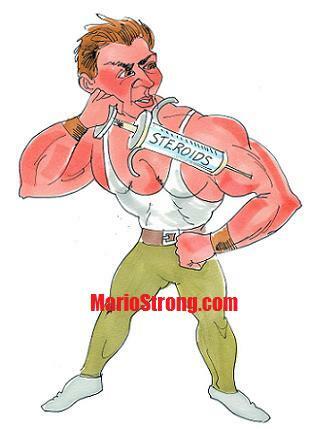 As much as I and other members preached about the dangers of steroids, our good intentions went in one ear and out the other. The steroid scene on Staten Island became so bad that when new members joined my club the first thing they would ask was, “What steroids should we take for maximum results?” It was a new generation of bodybuilders on the Island. They wanted results overnight and did not care about what ill effects stood before them. The ship was going down and there was no way for me to save it. The sport I once believed in became like poison to me. It was something that I no longer wanted to have any part of. For a decade, I preached the benefits of natural bodybuilding to the thousands of members who had joined my gym. I believed I could make a difference with the many, but in reality, it was only with a few. I realized my time would be better spent following a different course in life. So sadly, after following my dream for many years, I locked my gym’s doors forever. Results that took natural bodybuilders years to accomplish were now being realized in a relatively short period of time, with less pain and sweat for the gains they displayed, by those willing to take the anabolics. I saw gym members become massively huge and extremely powerful practically overnight. I also saw some of the early side effects that such practices brought. It did not matter to the muscle-heads. To them, life was about the moment and they weren’t concerned about the future or living a long healthy life. I even had the unfortunate circumstance of learning that a couple of my members were trying to sell drugs right out of my gym. To say I became a little violent with them would be an understatement, but such action by me was needed to serve as a warning to those who would dare push that crap in my establishment. For the last few decades the sport of bodybuilding has been plagued with a succession of tragedies and near calamities that cannot be excused as mere statistical coincidences. Our once great and noble sport has reached a time in its history that must not be ignored. Because of the use of chemical agents in the sport of bodybuilding, many muscle-builders, both pro and amateur alike, have become walking time bombs with the sad prospect of a future lived in ill health and possibly an untimely death. When you consider the use of enormous amounts of anabolic steroids, growth hormones, and insulin; combined with an exotic array of “get high” substances and narcotic pain killers; along with consuming huge quantities of food every couple of hours to add mass; followed by a competitive lifestyle that requires losing tens of pounds of bodyweight and then peaking on the day of a physique competition with the aid of diuretics and other chemical assistance, so as to be ‘ripped’ on the competitive stage; you don’t have to be a rocket scientist to realize that such a regiment is a formula for disaster. And we’re not even talking about those who inject synthol into their bodies, which just swells the area of injection without even building an ounce of real muscle. For the life of me I cannot fathom why the use of synthol or similar oils is allowed in physique competitions. Just goes to show you what a joke the major physique organizations have become. But then again, they’re laughing all the way to the bank while the wannabes are gambling not only with their health but financial future. Take a look at the sport of bodybuilding today. It is truly a disgrace how the physiques have morphed throughout the decades into what is now considered the ‘standard.’ Today’s physiques have mutated into gargantuan proportions with distended potbellies caused by the increase of the internal organs. Guess what’s causing their midsections to swell so much. I mean this is totally bananas and yet there they are on social media with their anabolic derived bods not only blatantly admitting to their chemical usage but telling others how to do the same. The problem is that they live in this anabolic world, surrounded by those who follow the same path, and cannot see what’s on the other side of the hill. The truly sad thing about this is that ‘their success’ is inspiring others (mostly young wannabes) to follow in the same footsteps, and you know what, things are only going to get worse.